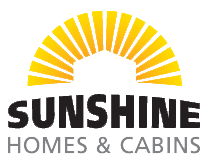 Sunshine Homes & Cabins Gallery. From a tiny cabin to an expansive home, there's a Sunshine solution to fit your budget, your site and your personal preferences. Our plans are simple starting points for finding the perfect Sunshine solution for your building project.